It is important to understand what I mean by semiosis. It has never been in my power to study anything … except as a study of semeiotic. Few persons care to study logic, because everybody conceives himself to be proficient enough in the art of reasoning already. But I observe that this satisfaction is limited to one's own ratiocination and does not extend to that of other men. We come to the full possession of our power of drawing inferences the last of all our faculties, for it is not so much a natural gift as a long and difficult art. That wine possesses certain properties. Such beliefs are nothing but self-notifications that we should, upon occasion, act in regard to such things as we believe to be wine according to the qualities which we believe wine to possess. The occasion of such action would be some sensible perception, the motive of it to produce some sensible result. Thus our action has exclusive reference to what affects the senses, our habit has the same bearing as our action, our belief the same as our habit, our conception the same as our belief; and we can consequently mean nothing by wine but what has certain effects, direct or indirect, upon our senses; and to talk of something as having all the sensible characters of wine, yet being in reality blood, is senseless jargon. Now, it is not my object to pursue the theological question; and having used it as a logical example I drop it, without caring to anticipate the theologian's reply. I only desire to point out how impossible it is that we should have an idea in our minds which relates to anything but conceived sensible effects of things. Our idea of anything is our idea of its sensible effects; and if we fancy that we have any other we deceive ourselves, and mistake a mere sensation accompanying the thought for a part of the thought itself. It is absurd to say that thought has any meaning unrelated to its only function. It is foolish for Catholics and Protestants to fancy themselves in disagreement about the elements of the sacrament, if they agree in regard to all their sensible effects, here or hereafter. It appears, then, that the rule for attaining the third grade of clearness of apprehension is as follows: Consider what effects, which might conceivably have practical bearings, we conceive the object of our conception to have. Then, our conception of these effects is the whole of our conception of the object. It is the man of science, eager to have his every opinion regenerated, his every idea rationalized, by drinking at the fountain of fact, and devoting all the energies of his life to the cult of truth, not as he understands it, but as he does not yet understand it, that ought properly to be called a philosopher. To an earlier age knowledge was power — merely that and nothing more; to us it is life and the summum bonum. Emancipation from the bonds of self, of one's own prepossessions, importunately sought at the hands of that rational power before which all must ultimately bow, — this is the characteristic that distinguishes all the great figures of nineteenth-century science from those of former periods. "The Century's Great Men in Science" in The 19th Century : A Review of Progress During the Past One Hundred Years in the Chief Departments of Human Activity (1901), published by G. P. Putnam's Sons. "Pragmatism" (1907) in The Essential Peirce : Selected Philosophical Writings (1998) edited by the Peirce Edition Project, Vol. 2, p. 411, Indiana University Press. It has never been in my power to study anything, — mathematics, ethics, metaphysics, gravitation, thermodynamics, optics, chemistry, comparative anatomy, astronomy, psychology, phonetics, economics, the history of science, whist, men and women, wine, metrology, except as a study of semeiotic. A sign is in a conjoint relation to the thing denoted and to the mind. The actual world cannot be distinguished from a world of imagination by any description. Hence the need of pronoun and indices, and the more complicated the subject the greater the need of them. Any character or proposition either concerns one subject, two subjects, or a plurality of subjects. For example, one particle has mass, two particles attract one another, a particle revolves about the line joining two others. A fact concerning two subjects is a dual character or relation; but a relation which is a mere combination of two independent facts concerning the two subjects may be called degenerate, just as two lines are called a degenerate conic. In like manner a plural character or conjoint relation is to be called degenerate if it is a mere compound of dual characters. The index asserts nothing; it only says "There!" It takes hold of our eyes, as it were, and forcibly directs them to a particular object, and there it stops. Demonstrative and relative pronouns are nearly pure indices, because they denote things without describing them; so are the letters on a geometrical diagram, and the subscript numbers which in algebra distinguish one value from another without saying what those values are. I call a sign which stands for something merely because it resembles it, an icon. Icons are so completely substituted for their objects as hardly to be distinguished from them. Such are the diagrams of geometry. A diagram, indeed, so far as it has a general signification, is not a pure icon; but in the middle part of our reasonings we forget that abstractness in great measure, and the diagram is for us the very thing. So in contemplating a painting, there is a moment when we lose the consciousness that it is not the thing, the distinction of the real and the copy disappears, and it is for the moment a pure dream, — not any particular existence, and yet not general. At that moment we are contemplating an icon. I have taken pains to make my distinction of icons, indices, and tokens clear, in order to enunciate this proposition: in a perfect system of logical notation signs of these several kinds must all be employed. Without tokens there would be no generality in the statements, for they are the only general signs; and generality is essential to reasoning. … But tokens alone do not state what is the subject of discourse ; and this can, in fact, not be described in general terms ; it can only be indicated. The actual world cannot be distinguished from a world of imagination by any description. Hence the need of pronoun and indices, and the more complicated the subject the greater the need of them. Now, to say that a lot of objects is finite, is the same as to say that if we pass through the class from one to another we shall necessarily come round to one of those individuals already passed; that is, if every one of the lot is in any one-to-one relation to one of the lot, then to every one of the lot some one is in this same relation. "It lightens and it thunders," is conjunctive, "It lightens or it thunders" is disjunctive. Each such individual act of connecting a pair of statements is a new monad for the mathematician. As the mathematics are now understood, each branch — or, if you please, each problem, — is but the study of the relations of a collection of connected objects, without parts, without any distinctive characters, except their names or designating letters. These objects are commonly called points; but to remove all notion of space relations, it may be better to name them monads. The relations between these points are mere complications of two different kinds of elementary relations, which may be termed immediate connection and immediate non-connection. All the monads except as serve as intermediaries for the connections have distinctive designations. A pair of statements may be taken conjunctively or disjunctively; for example, "It lightens and it thunders," is conjunctive, "It lightens or it thunders" is disjunctive. Each such individual act of connecting a pair of statements is a new monad for the mathematician. I think we may safely say that the studies preliminary to the construction of a great theory should be at least as deliberate and thorough as those that are preliminary to the building of a dwelling-house. Uniformities are precisely the sort of facts that need to be accounted for. Feelings, by being excited, become more easily excited, especially in the ways in which they have previously been excited. Of the fifty or hundred systems of philosophy that have been advanced at different times of the world's history, perhaps the larger number have been, not so much results of historical evolution, as happy thoughts which have accidently occurred to their authors. An idea which has been found interesting and fruitful has been adopted, developed, and forced to yield explanations of all sorts of phenomena. … The remaining systems of philosophy have been of the nature of reforms, sometimes amounting to radical revolutions, suggested by certain difficulties which have been found to beset systems previouslv in vogue; and such ought certainly to be in large part the motive of any new theory. … When a man is about to build a house, what a power of thinking he has to do, before he can safely break ground! With what pains he has to excogitate the precise wants that are to be supplied. What a study to ascertain the most available and suitable materials, to determine the mode of construction to which those materials are best adapted, and to answer a hundred such questions! Now without riding the metaphor too far, I think we may safely say that the studies preliminary to the construction of a great theory should be at least as deliberate and thorough as those that are preliminary to the building of a dwelling-house. To suppose universal laws of nature capable of being apprehended by the mind and yet having no reason for their special forms, but standing inexplicable and irrational, is hardly a justifiable position. Uniformities are precisely the sort of facts that need to be accounted for. That a pitched coin should sometimes turn up heads and sometimes tails calls for no particular explanation; but if it shows heads every time, we wish to know how this result has been brought about. Law is par excellence the thing that wants a reason. The one primary and fundamental law of mental action consists in a tendency to generalisation. Feeling tends to spread ; connections between feelings awaken feelings; neighboring feelings become assimilated; ideas are apt to reproduce themselves. These are so many formulations of the one law of the growth of mind. When a disturbance of feeling takes place, we have a consciousness of gain, the gain of experience; and a new disturbance will be apt to assimilate itself to the one that preceded it. Feelings, by being excited, become more easily excited, especially in the ways in which they have previously been excited. The consciousness of such a habit constitutes a general conception. The cloudiness of psychological notions may be corrected by connecting them with physiological conceptions. Feeling may be supposed to exist, wherever a nerve-cell is in an excited condition. The disturbance of feeling, or sense of reaction, accompanies the transmission of disturbance between nerve-cells or from a nerve-cell to a muscle-cell or the external stimulation of a nerve-cell. General conceptions arise upon the formation of habits in the nerve-matter, which are molecular changes consequent upon its activity and probably connected with its nutrition. The law of habit exhibits a striking contrast to all physical laws in the character of its commands. 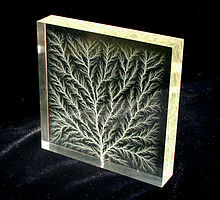 A physical law is absolute. What it requires is an exact relation. Thus, a physical force introduces into a motion a component motion to be combined with the rest by the parallelogram of forces; but the component motion must actually take place exactly as required by the law of force. On the other hand, no exact conformity is required by the mental law. Nay, exact conformity would be in downright conflict with the law ; since it would instantly crystallise thought and prevent all further formation of habit. The law of mind only makes a given feeling more likely to arise. It thus resembles the "non-conservative" forces of physics, such as viscosity and the like, which are due to statistical uniformities in the chance encounters of trillions of molecules. The old dualistic notion of mind and matter, so prominent in Cartesianism, as two radically different kinds of substance, will hardly find defenders to-day. Rejecting this, we are driven to some form of hylopathy, otherwise called monism. Three conceptions are perpetually turning up at every point in every theory of logic, and in the most rounded systems they occur in connection with one another. They are conceptions so very broad and consequently indefinite that they are hard to seize and may be easily overlooked. I call them the conceptions of First, Second, Third. First is the conception of being or existing independent of anything else. Second is the conception of being relative to, the conception of reaction with, something else. Third is the conception of mediation, whereby a first and second are brought into relation. The origin of things, considered not as leading to anything, but in itself, contains the idea of First, the end of things that of Second, the process mediating between them that of Third. A philosophy which emphasises the idea of the One, is generally a dualistic philosophy in which the conception of Second receives exaggerated attention: for this One (though of course involving the idea of First) is always the other of a manifold which is not one. The idea of the Many, because variety is arbitrariness and arbitrariness is repudiation of any Secondness, has for its principal component the conception of First. In psychology Feeling is First, Sense of reaction Second, General conception Third, or mediation. In biology, the idea of arbitrary sporting is First, heredity is Second, the process whereby the accidental characters become fixed is Third. Chance is First, Law is Second, the tendency to take habits is Third. Mind is First, Matter is Second, Evolution is Third. To "postulate" a proposition is no more than to hope it is true. When I have asked thinking men what reason they had to believe that every fact in the universe is precisely determined by law, the first answer has usually been that the proposition is a "presupposition " or postulate of scientific reasoning. Well, if that is the best that can be said for it, the belief is doomed. Suppose it be " postulated " : that does not make it true, nor so much as afford the slightest rational motive for yielding it any credence. It is as if a man should come to borrow money, and when asked for his security, should reply he "postulated " the loan. To "postulate" a proposition is no more than to hope it is true. There are, indeed, practical emergencies in which we act upon assumptions of certain propositions as true, because if they are not so, it can make no difference how we act. But all such propositions I take to be hypotheses of individual facts. For it is manifest that no universal principle can in its universality be compromised in a special case or can be requisite for the validity of any ordinary inference. A serious student of philosophy will be in no haste to accept or reject this doctrine; but he will see in it one of the chief attitudes which speculative thought may take, feeling that it is not for an individual, nor for an age, to pronounce upon a fundamental question of philosophy. That is a task for a whole era to work out. The tendency to regard continuity, in the sense in which I shall define it, as an idea of prime importance in philosophy conveniently may be be termed synechism. We are accustomed to speak of ideas as reproduced, as passed from mind to mind, as similar or dissimilar to one another, and, in short, as if they were substantial things; nor can any reasonable objection be raised to such expressions. Some minds will jump here jump to the conclusion that a past idea cannot in any sense be present. But that is hasty and illogical. How extravagant too, to pronounce our whole knowledge of the past to be mere delusion! In the case of colors, there is a tridimensional spread of feelings. The first character of a general idea … is that it is living feeling … in its absence of boundedness a vague possibility of more than is present is directly felt. Feeling which has not yet emerged into immediate consciousness is already affectible and already affected. The uncertainty of the mental law is no mere defect of it, but is on the contrary of its essence. The truth is, the mind is not subject to "law," in the same rigid sense that matter is. There always remains a certain amount of arbitrary spontaneity in its action, without which it would be dead. In an article published in The Monist for January, 1891, I endeavored to show what ideas ought to form the warp of a system of philosophy, and particularly emphasized that of absolute chance. In the number of April, 1892, I argued further in favor of that way of thinking, which it will be convenient to christen tychism (from τύχη, chance). A serious student of philosophy will be in no haste to accept or reject this doctrine; but he will see in it one of the chief attitudes which speculative thought may take, feeling that it is not for an individual, nor for an age, to pronounce upon a fundamental question of philosophy. That is a task for a whole era to work out. I have begun by showing that tychism must give birth to an evolutionary cosmology, in which all the regularities of nature and of mind are regarded as products of growth, and to a Schelling-fashioned idealism which holds matter to be mere specialized and partially deadened mind. The tendency to regard continuity, in the sense in which I shall define it, as an idea of prime importance in philosophy conveniently may be be termed synechism. The present paper is intended chiefly to show what synechism is, and what it leads to. What distinct meaning can attach to saying that an idea in the past in any way affects an idea in the future, from which it is completely detached? We have here a question of difficulty, analogous to the question of nominalism and realism. Some minds will jump here jump to the conclusion that a past idea cannot in any sense be present. But that is hasty and illogical. How extravagant too, to pronounce our whole knowledge of the past to be mere delusion! Yet it would seem that the past is completely beyond the bounds of possible experience as a Kantian thing-in-itself. How can a past idea be present?... it can only be going, infinitesimally past, less past than any assignable past date. We are thus brought to the conclusion that the present is connected to the past by a series of real infinitesimal steps. If the sensation that precedes the present by half a second were still immediately before me, then on the same principle, the sensation preceding that would be immediately present, and so on ad infinitum. Now, since there is a time [period], say a year, at the end of which an idea is no longer ipso facto present, it follows that this is true of any finite interval, however short. Consciousness must essentially cover an interval of time; for if it did not, we could gain no knowledge of time, and not merely no veracious cognition of it, but no conception whatever. We are therefore, forced to say that we are immediately conscious through an infinitesimal interval of time. In fact, this infinitesimally spread-out consciousness is a direct feeling of its contents as spread out. In an infinitesimal interval we directly perceive the temporal sequence of its beginning, middle, and end... Now upon this interval follows another, whose beginning is the middle of the former, and whose middle is the end of the former. Here we have an immediate perception of the temporal sequence of its beginning, middle and end, or say, of the second, third, and fourth instants. From these two immediate perceptions, we gain a mediate, or inferential perception of the relation of all four instants. This mediate perception is objectively, or as to the object being represented, spread over the four instants; but subjectively, or as itself the subject of duration, it is completely embraced in the second moment. (The reader will observe that I use the word instant to mean a point in time, and moment to mean an infinitesimal duration. Now, let there be an indefinite succession of these inferential acts of comparative perception; and it is plain that the last moment will contain objectively the whole series. Let there be, not merely an indefinite succession, but a continuous flow of inference through a finite time; and the result will be a mediate objective consciousness of the whole time in the last moment. In this last moment, the whole series will be recognized, or known as known before. Indeed, even this last moment will be recognized like the rest, at least, be just beginning to be so. Suppose a surface to be part red and part blue; so that every point on it is either red or blue, and of course, no part can be both red and blue. What then, is the color of the surface in the immediate neighborhood of the point. ...it follows that the boundary is half red and half blue. In like manner, we find it necessary to hold that consciousness essentially occupies time... Thus, the present is half past and half time to come. ...Take another case: the velocity of a particle at any instant of time is its mean velocity during an infinitesimal instant in which that time is consumed. Just so, my immediate feeling is my feeling through an infinitesimal duration containing the present instant. One of the most marked features about the law of mind is that it makes time to have a definite direction of flow from past to future. ...This makes one of the great contrasts between the law of mind and the law of physical force, where there is no more distinction between the two opposite directions in time than between moving northward and moving southward. Time with its continuity logically involves some other kind of continuity than its own. Time, as the universal form of change, cannot exist unless there is something to undergo change, and to undergo a change continuous in time, there must be a continuity of changeable qualities. The development of the human mind has practically extinguished all feelings, except a few sporadic kinds, [like] sound, colors, smells, warmth, etc., which now appear to be disconnected and separate. In the case of colors, there is a tridimensional spread of feelings. Originally all feelings may have been connected in the same way, and the presumption is that the number of dimensions was endless. For development essentially involves a limitation of possibilities. But given a number of dimensions of feeling, all possible varieties are obtainable by varying the intensities of the different elements. Accordingly, time logically supposes a continuous range of intensity of feeling. It follows then, from the definition of continuity, that when any particular kind of feeling is present, an infinitesimal continuum of all feelings differing infinitesimally from that, is present. Since space is continuous, it follows that there must be an immediate community of feeling between parts of mind infinitesimally close together. Without this, I believe it would have been impossible for any co-ordination to be established in the action of the nerve-matter of one brain. A finite interval of time generally contains an innumerable series of feelings; and when these become welded together in association the result is a general idea. The first character of a general idea so resulting is that it is living feeling. A continuum of this feeling, infinitesimal in duration, but still embracing innumerable parts, and also, though infinitesimal, entirely unlimited, is immediately present. And in its absence of boundedness a vague possibility of more than is present is directly felt. Second, in the presence of this continuity of feeling, nominalistic maxims appear futile. There is no doubt about one idea affecting another, when we can directly perceive the one generally modified and shaping itself into the other. Nor can there any longer be any difficulty about one idea resembling another, when we can pass along the continuous field of quality from one to the other and back again to the point which we had marked. Third, consider the insistency of an idea. The insistency of a past idea with reference to the present is a quantity which is less, the further back that past idea is, and rises to infinity as the past idea is brought up into coincidence with the present. Here we must make one of those inductive applications of the law of continuity which have produced such great results in all of the positive sciences. We must extend the law of insistency into the future. Plainly, the insistency of a future idea with reference to the present is a quantity affected by the minus sign; for it is the present that affects the future, if there be any effect, not the future that affects the present. Feeling which has not yet emerged into immediate consciousness is already affectible and already affected. In fact, this is habit, by virtue of which an idea is brought up into the present consciousness by a bond that has already been established between it and another idea while it was still in futuro. Wherever ideas come together they tend to weld into general ideas; and whenever they are generally connected, general ideas govern the connection; and these general ideas are living feelings spread out. In deduction the mind is under the dominion of a habit or association by virtue of which a general idea suggests in each case a corresponding reaction. This is the way the hind legs of a frog separated from the rest of the body, reason, when you pinch them. It is the lowest form of psychical manifestation. But no mental action seems necessary or invariable in its character. In whatever manner the mind has reacted under a given sensation, in that manner it is the more likely to react again; were this, however, an absolute necessity, habits would become wooden and ineradicable, and no room being left for the formulation of new habits, intellectual life would come to a speedy close. Thus, the uncertainty of the mental law is no mere defect of it, but is on the contrary of its essence. The truth is, the mind is not subject to "law," in the same rigid sense that matter is. It only experiences gentle forces which merely render it more likely to act a given way than it otherwise would be. There always remains a certain amount of arbitrary spontaneity in its action, without which it would be dead. Let me now try to gather up all these odds and ends of commentary and restate the law of mind, in a unitary way. First then, we find that when we regard ideas from a nominalistic, individualistic, sensualistic way, the simplest facts of mind become utterly meaningless. That one idea should resemble another or influence another, or that one state of mind should so much as be thought of in another is, from that standpoint, sheer nonsense. Second, by this and other means we are driven to perceive, what is quite evident in itself, that instantaneous feelings flow together in a continuum of feeling, which has in a modified degree the peculiar vivacity of feeling and has gained generality. And in reference to such general ideas, or continua of feeling, the difficulties about resemblance and suggestion and reference to the external, cease to have any force. Third, these general ideas are not mere words, nor do they consist in this, that certain concrete facts will every time happen under certain descriptions of conditions; but they are just as much, or rather far more, living realities than the feelings themselves out of which they are concreted. And to say that mental phenomenon are governed by law does not mean merely that they are describable by a general formula; but that there is a living idea, a conscious continuum of feeling which pervades them, and to which they are docile. Fourth, this supreme law, which is celestial and living harmony, does not so much as demand that the special ideas shall surrender their peculiar arbitrariness and caprice entirely; for that would be self-destructive. It only requires that they influence and be influenced by one another. Fifth, in what measure this unification acts, seems to be regulated only by special rules; or, at least, we cannot in our present knowledge say how far it goes. But it may be said that, judging by appearances, the amount of arbitrariness in the phenomenon of human minds is neither altogether trifling nor very prominent. Were the ends of a person already explicit, there would be no room for development, for growth, for life; and consequently there would be no personality. The mere carrying out of predetermined purposes is mechanical. This remark has an application to the philosophy of religion. It is that genuine evolutionary philosophy, that is, one that makes the principle of growth a primordial element of the universe, is so far from being antagonistic to the idea of a personal creator, that it is really inseparable from that idea; while a necessitarian religion is in an altogether false position and is destined to become disintegrated. But a pseudo-evolutionism which enthrones mechanical law above the principle of growth is at once scientifically unsatisfactory, as giving no possible hint of how the universe has come about, and hostile to all hopes of personal relations to God. The recognition by one person of another's personality takes place by means to some extent identical to the means by which he is conscious of his own personality. The idea of the second personality, which is as much as to say that second personality itself, enters within the direct consciousness of the first person, and is immediately perceived as his ego, though less strongly. At the same time, the opposition between the two persons is perceived, so that the externality of the second is perceived. But the extraordinary insight which some persons are able to gain of others from indications so slight that it is difficult to ascertain what they are, is certainly rendered more comprehensible by the view here taken. A difficulty which confronts the synechistic philosophy is this. In considering personality, that philosophy is forced to accept the doctrine of a personal God; but in considering communication, it cannot but admit that if there is a personal God, we must have a direct perception of that person and indeed be in personal communication with him. Now, if that be the case, the question arises how it is possible that the existence of this being should ever have been doubted by anybody. The only answer that I can at present make is that facts that stand before our face and eyes and stare us in the face are far from being, in all cases, the ones most easily discerned. That has been remarked since time immemorial. I think that I have succeeded in making it clear that this doctrine gives room for explanations of many facts which without it are absolutely and hopelessly inexplicable; and further that it carries along with it the following doctrines: first, a logical realism of the most pronounced type; second, objective idealism; third, tychism, with its consequent thoroughgoing evolutionism. We also notice that the doctrine presents no hindrences to spiritual influences, such as some philosophies are felt to do. A certain maxim of Logic which I have called Pragmatism has recommended itself to me for diverse reasons and on sundry considerations. Having taken it as my guide for most of my thought, I find that as the years of my knowledge of it lengthen, my sense of the importance of it presses upon me more and more. In all the works on pedagogy that ever I read — and they have been many, big, and heavy — I don't remember that any one has advocated a system of teaching by practical jokes, mostly cruel. That, however, describes the method of our great teacher, Experience. Understand me well. My appeal is to observation — observation that each of you must make for himself. You will mark the limitation of my approval of Ockham's razor. It is a sound maxim of scientific procedure. If the question be what one ought to believe, the logic of the situation must take other factors into account. Ockham's razor is not worth the stout belief of any common seaman. For stout belief may happen to save the ship, while Entia non sunt multiplicanda praeter necessitatem would be only a stupid way of spelling Shipwreck. Be it understood, then, that what we have to do, as students of phenomenology, is simply to open our mental eyes and look well at the phenomenon and say what are the characteristics that are never wanting in it, whether that phenomenon be something that outward experience forces upon our attention, or whether it be the wildest of dreams, or whether it be the most abstract and general of the conclusions of science. The faculties which we must endeavor to gather for this work are three. The first and foremost is that rare faculty, the faculty of seeing what stares one in the face, just as it presents itself, unreplaced by any interpretation, unsophisticated by any allowance for this or for that supposed modifying circumstance. This is the faculty of the artist who sees for example the apparent colors of nature as they appear. When the ground is covered by snow on which the sun shines brightly except where shadows fall, if you ask any ordinary man what its color appears to be, he will tell you white, pure white, whiter in the sunlight, a little greyish in the shadow. But that is not what is before his eyes that he is describing; it is his theory of what ought to be seen. The artist will tell him that the shadows are not grey but a dull blue and that the snow in the sunshine is of a rich yellow. That artist's observational power is what is most wanted in the study of phenomenology. The second faculty we must strive to arm ourselves with is a resolute discrimination which fastens itself like a bulldog upon the particular feature that we are studying, follows it wherever it may lurk, and detects it beneath all its disguises. The third faculty we shall need is the generalizing power of the mathematician who produces the abstract formula that comprehends the very essence of the feature under examination purified from all admixture of extraneous and irrelevant accompaniments. When anything is present to the mind, what is the very first and simplest character to be noted in it, in every case, no matter how little elevated the object may be? Certainly, it is its presentness. The quality of feeling is the true psychical representative of the first category of the immediate as it is in its immediacy, of the present in its direct positive presentness. Qualities of feeling show myriad-fold variety, far beyond what the psychologists admit. This variety however is in them only insofar as they are compared and gathered into collections. But as they are in their presentness, each is sole and unique; and all the others are absolute nothingness to it — or rather much less than nothingness, for not even a recognition as absent things or as fictions is accorded to them. The first category, then, is Quality of Feeling, or whatever is such as it is positively and regardless of aught else. and thereupon she keeps her promise, and seems to take her pay in the fun of tormenting us. Thus far, gentlemen, I have been insisting very strenuously upon what the most vulgar common sense has every disposition to assent to and only ingenious philosophers have been able to deceive themselves about. But now I come to a category which only a more refined form of common sense is prepared willingly to allow, the category which of the three is the chief burden of Hegel's song, a category toward which the studies of the new logico-mathematicians, Georg Cantor and the like, are steadily pointing, but to which no modern writer of any stripe, unless it be some obscure student like myself, has ever done anything approaching to justice. There never was a sounder logical maxim of scientific procedure than Ockham's razor: Entia non sunt multiplicanda praeter necessitatem. That is to say; before you try a complicated hypothesis, you should make quite sure that no simplification of it will explain the facts equally well. No matter if it takes fifty generations of arduous experimentation to explode the simpler hypothesis, and no matter how incredible it may seem that that simpler hypothesis should suffice, still fifty generations are nothing in the life of science, which has all time before it; and in the long run, say in some thousands of generations, time will be economized by proceeding in an orderly manner, and by making it an invariable rule to try the simpler hypothesis first. Indeed, one can never be sure that the simpler hypothesis is not the true one, after all, until its cause has been fought out to the bitter end. But you will mark the limitation of my approval of Ockham's razor. It is a sound maxim of scientific procedure. If the question be what one ought to believe, the logic of the situation must take other factors into account. Speaking strictly, belief is out of place in pure theoretical science, which has nothing nearer to it than the establishment of doctrines, and only the provisional establishment of them, at that. Compared with living belief it is nothing but a ghost. If the captain of a vessel on a lee shore in a terrific storm finds himself in a critical position in which he must instantly either put his wheel to port acting on one hypothesis, or put his wheel to starboard acting on the contrary hypothesis, and his vessel will infallibly be dashed to pieces if he decides the question wrongly, Ockham's razor is not worth the stout belief of any common seaman. For stout belief may happen to save the ship, while Entia non sunt multiplicanda praeter necessitatem would be only a stupid way of spelling Shipwreck. Now in matters of real practical concern we are all in something like the situation of that sea-captain. Philosophy, as I understand the word, is a positive theoretical science, and a science in an early stage of development. As such it has no more to do with belief than any other science. Indeed, I am bound to confess that it is at present in so unsettled a condition, that if the ordinary theorems of molecular physics and of archaeology are but the ghosts of beliefs, then to my mind, the doctrines of the philosophers are little better than the ghosts of ghosts. I know this is an extremely heretical opinion. All nature abounds in proofs of other influences than merely mechanical action, even in the physical world. They crowd in upon us at the rate of several every minute. And my observation of men has led me to this little generalization. Speaking only of men who really think for themselves and not of mere reporters, I have not found that it is the men whose lives are mostly passed within the four walls of a physical laboratory who are most inclined to be satisfied with a purely mechanical metaphysics. On the contrary, the more clearly they understand how physical forces work the more incredible it seems to them that such action should explain what happens out of doors. A larger proportion of materialists and agnostics is to be found among the thinking physiologists and other naturalists, and the largest proportion of all among those who derive their ideas of physical science from reading popular books. The hypothesis of God is a peculiar one, in that it supposes an infinitely incomprehensible object, although every hypothesis, as such, supposes its object to be truly conceived in the hypothesis. 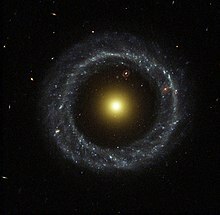 The humble argument is the first stage of a scientific inquiry into the origin of the three Universes, but of an inquiry which produces, not merely scientific belief, which is always provisional, but also a living, practical belief, logically justified in crossing the Rubicon with all the freightage of eternity. I, Ens necessarium is a latin expression which signifies "Necessary being, necessary entity"
Some words shall herein be capitalised when used, not as vernacular, but as terms defined. Thus an "idea" is the substance of an actual unitary thought or fancy; but "Idea," nearer Plato's idea of ἰδέα, denotes anything whose Being consists in its mere capacity for getting fully represented, regardless of any person's faculty or impotence to represent it. Of the three Universes of Experience familiar to us all, the first comprises all mere Ideas, those airy nothings to which the mind of poet, pure mathematician, or another might give local habitation and a name within that mind. Their very airy-nothingness, the fact that their Being consists in mere capability of getting thought, not in anybody's Actually thinking them, saves their Reality. The second Universe is that of the Brute Actuality of things and facts. I am confident that their Being consists in reactions against Brute forces, notwithstanding objections redoubtable until they are closely and fairly examined. The third Universe comprises everything whose being consists in active power to establish connections between different objects, especially between objects in different Universes. Such is everything which is essentially a Sign — not the mere body of the Sign, which is not essentially such, but, so to speak, the Sign's Soul, which has its Being in its power of serving as intermediary between its Object and a Mind. An "Argument" is any process of thought reasonably tending to produce a definite belief. An "Argumentation" is an Argument proceeding upon definitely formulated premisses. If God Really be, and be benign, then, in view of the generally conceded truth that religion, were it but proved, would be a good outweighing all others, we should naturally expect that there would be some Argument for His Reality that should be obvious to all minds, high and low alike, that should earnestly strive to find the truth of the matter; and further, that this Argument should present its conclusion, not as a proposition of metaphysical theology, but in a form directly applicable to the conduct of life, and full of nutrition for man's highest growth. What I shall refer to as the N.A. — the Neglected Argument — seems to me best to fulfil this condition, and I should not wonder if the majority of those whose own reflections have harvested belief in God must bless the radiance of the N.A. for that wealth. Its persuasiveness is no less than extraordinary; while it is not unknown to anybody. Nevertheless, of all those theologians (within my little range of reading) who, with commendable assiduity, scrape together all the sound reasons they can find or concoct to prove the first proposition of theology, few mention this one, and they most briefly. They probably share those current notions of logic which recognise no other Arguments than Argumentations. My original essay, having been written for a popular monthly, assumes, for no better reason than that real inquiry cannot begin until a state of real doubt arises and ends as soon as Belief is attained, that "a settlement of Belief," or, in other words, a state of satisfaction, is all that Truth, or the aim of inquiry, consists in. The reason I gave for this was so flimsy, while the inference was so nearly the gist of Pragmaticism, that I must confess the argument of that essay might with some justice be said to beg the question. The first part of the essay, however, is occupied with showing that, if Truth consists in satisfaction, it cannot be any actual satisfaction, but must be the satisfaction which would ultimately be found if the inquiry were pushed to its ultimate and indefeasible issue. This, I beg to point out, is a very different position from that of Mr Schiller and the pragmatists of to-day. I trust I shall be believed when I say that it is only a desire to avoid being misunderstood in consequence of my relations with pragmatism, and by no means as arrogating any superior immunity from error which I have too good reason to know that I do not enjoy, that leads me to express my personal sentiments about their tenets. Their avowedly undefinable position, if it be not capable of logical characterisation, seems to me to be characterised by an angry hatred of strict logic, and even some disposition to rate any exact thought which interferes with their doctrines as all humbug. At the same time, it seems to me clear that their approximate acceptance of the Pragmaticist principle, and even that very casting aside of difficult distinctions (although I cannot approve of it), has helped them to a mightily clear discernment of some fundamental truths that other philosophers have seen but through a mist, and most of them not at all. Among such truths — all of them old, of course, yet acknowledged by few — I reckon their denial of necessitarianism; their rejection of any "consciousness" different from a visceral or other external sensation; their acknowledgment that there are, in a Pragmatistical sense, Real habits (which Really would produce effects, under circumstances that may not happen to get actualised, and are thus Real generals); and their insistence upon interpreting all hypostatic abstractions in terms of what they would or might (not actually will) come to in the concrete. It seems to me a pity they should allow a philosophy so instinct with life to become infected with seeds of death in such notions as that of the unreality of all ideas of infinity and that of the mutability of truth, and in such confusions of thought as that of active willing (willing to control thought, to doubt, and to weigh reasons) with willing not to exert the will (willing to believe). Induction according to ordinary logic rises from the contemplation of a sample of a class to that of a whole class; but according to the logic of relatives it rises from the comtemplation of a fragment of a system to the envisagement of the complete system. Mere imagination would indeed be mere trifling; only no imagination is mere. The ordinary logic has a great deal to say about genera and species, or in our nineteeth century dialect, about classes. Now a class is a set of objects comprising all that stand to one another in a special relation of similarity. But where ordinary logic talks of classes the logic of relatives talks of systems. A system is a set of objects comprising all that stands to one another in a group of connected relations. Induction according to ordinary logic rises from the contemplation of a sample of a class to that of a whole class; but according to the logic of relatives it rises from the comtemplation of a fragment of a system to the envisagement of the complete system. Pierce wrote as a logician and James as a humanist. 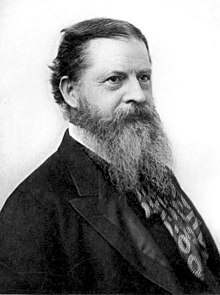 The principle of interpretation says that "a sign is something by knowing which we know something more" (Peirce). The Peircean idea of semiosis is the idea of an infinite process of interpretation. Peirce was concerned to explicate the idea of meaning whereas James was concerned to explicate the meaning of ideas. 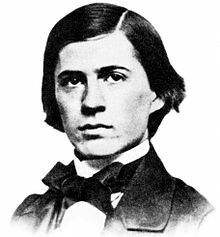 James called Peirce the most original thinker of their generation; Peirce placed himself somewhere near the rank of Leibniz. This much is now certain; he is the most original and versatile of America's philosophers and America's greatest logician. 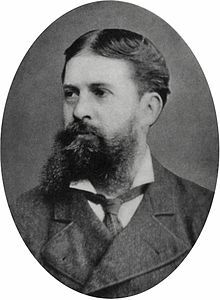 Conceptual graphs are system of logic based on the existential graphs of Charles Sanders Peirce and the semantic networks of artificial intelligence. The purpose of the system is to express meaning in a form that is logically precise, humanly readable, and computationally tractable. Professor Klein then speaks of "that artistic finish that we admire in Euclid's Elements," and mentions Allman's important historical work. I heartily concur in this estimate of Euclid, and desire to contrast it with the error of Charles S. Peirce, in the Nation, where he speaks of "Euclid's proof (Elements Bk. I., props. 16 and 17)" as "really quite fallacious, because it uses no premises not as true in the case of spherics." Our bright American seems to have forgotten Euclid's Postulate 6 (Axiom 12 in Gregory, Axiom 9 in Heiberg), "Two straight lines cannot enclose a space;" that is, two straights having crossed never recur.